We are offering a range of classes this year – some favourites will be back and a few new ones too! Stay tuned to our newsletter, blog and social media for updates when we release new classes! And we would love to hear from you if you have a particular type of class in mind! 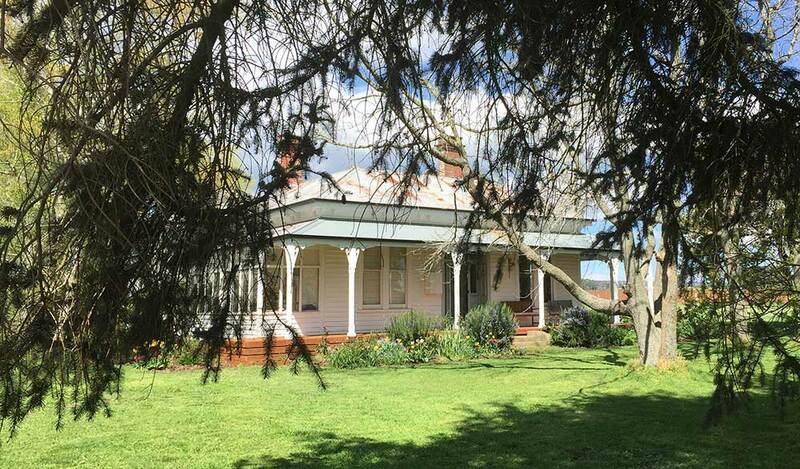 Come and enjoy time in the Victorian countryside just outside of Daylesford for your class. 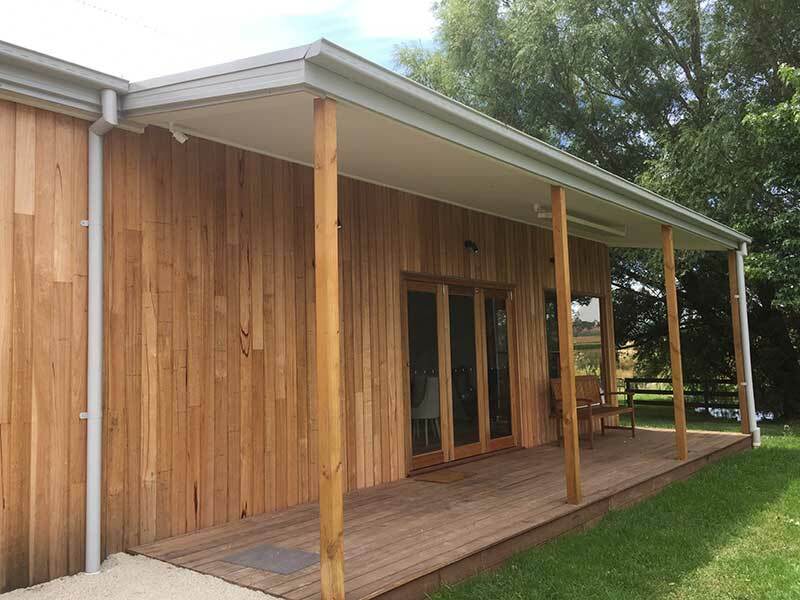 Our classes are held in our newly built barn next to our 100 year old country farmhouse. The Said With Love Quilt Barn has a spacious, light, air conditioned (and heated) class room and extra attic space if needed. 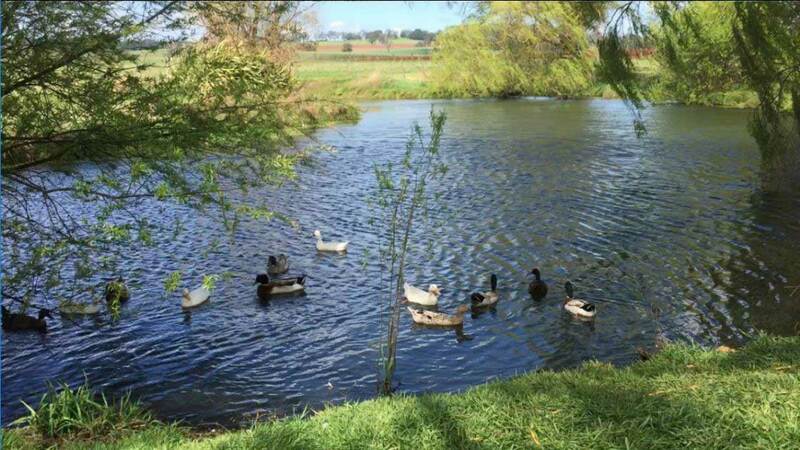 As a bonus we have a small lake and ducks just outside the huge picture windows. We are surrounded by rural farming countryside on every side. It is an idyllic place for a day with friends learning some new skills and taking home an almost completed project! Lunch and tea/coffee and afternoon tea are included in our classes and, weather permitting, we have it out by the lake. 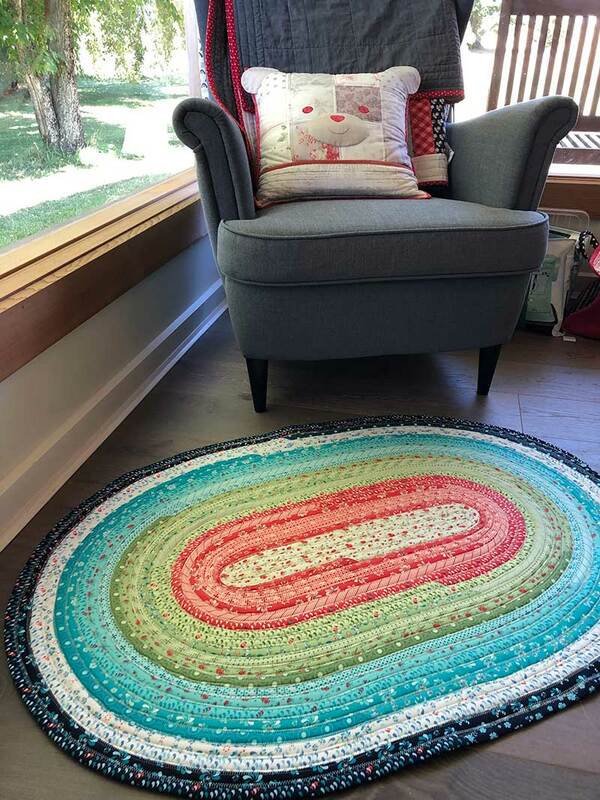 Have you been wanting to make a jelly roll rug? They have been so popular on Instagram and Facebook recently and, having made a couple now, they are such FUN to make! And so useful too. But there are some tips and tricks to making one that doesn’t look like a mini roller coaster…. so come along to the Quilt Barn and learn how to make one! We will be offering a weekend class for the jelly roll rug. Saturday : we will start with all the components for the jelly roll rug and by the end of the day we will have a huge squishy ball of filled strips ready for Sunday! Sunday : starting with our huge ball of prepared strips we will work through all the tips and tricks of creating the jelly roll rug and keeping it flat and beautiful! The weekend class is from 10am ~ 3pm both Saturday and Sunday and is $150: this includes the pattern, morning and afternoon tea as well as a delicious lunch. Our WIP Weekends are a great weekend with friends sewing up a storm to get through your WIPs (works in progress)! We all seem to have a pile of these sitting there – this is the weekend to get them out and get them DONE! 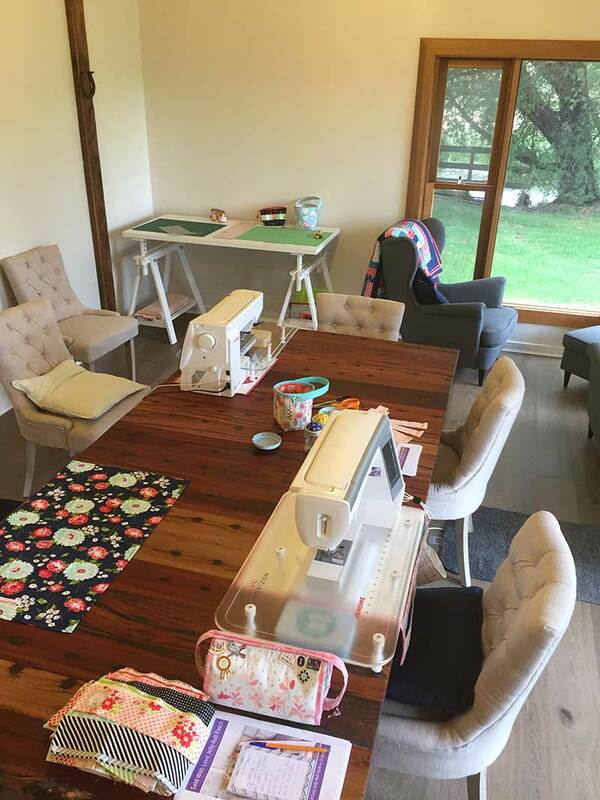 Bring along your sewing machine and notions and there will be plenty of space to cut and iron and layout your designs and even get some advice from others if needed. And some great photo opportunities around our 100 year old country farmhouse to do some photo shoots of finished projects too. $100 for the two day weekend and we can assist you in finding local accommodation to suit your requirements. Includes a beautiful morning and afternoon tea and lunch both days. Come along to this friendly class to learn how to make my Jelly Roll Patch pattern. It is a fabulous pattern for beginners to learn all the basics about quilting. 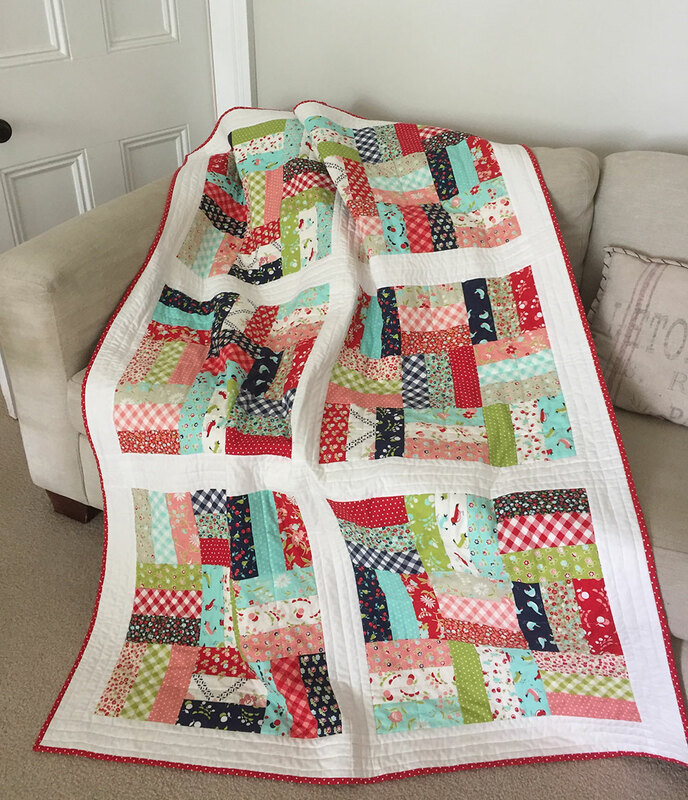 We take it nice and slow and go through everything from fabric selection, cutting, sewing a 1/4″ seam and all the things you need to know about patchwork whilst putting together this fun quilt! To make sure that you finish your quilt top and back we will do this over two consecutive days (so make a weekend of it in our gorgeous part of the world! We can give you some accommodation suggestions) from 9:30am – 4pm. Or we can provide a full kit to make the pattern for an additional $160. This is going to be a fun day class to learn some great ways to make quilted fabric baskets for storage, gifts or your sewing room! 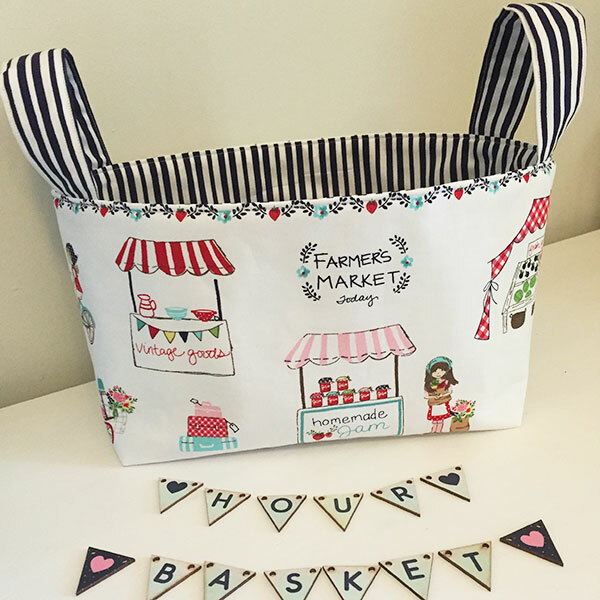 We will be covering the Hour Basket, a handled basket as well as thread baskets for your sewing room. Come along for a fun day 10am to ~3pm at the Quilt Barn with lunch and morning and afternoon tea included and go home with a couple of useful, practical presents (for yourself or others!). $100 for the day. We are working on having a charity sew day at the Quilt Barn in 2019. This will be a day where we can make a small difference to somebody else’s life. We all know that a quilt can keep you warm, but as a sick child, a grieving parent or a victim of violence, receiving a quilt can bring some comfort and a realisation that others DO care. If our dates don’t suit you, we are happy to organise a time for you and your friends (minimum of 4 people) to do a class or have your own WIP get together! 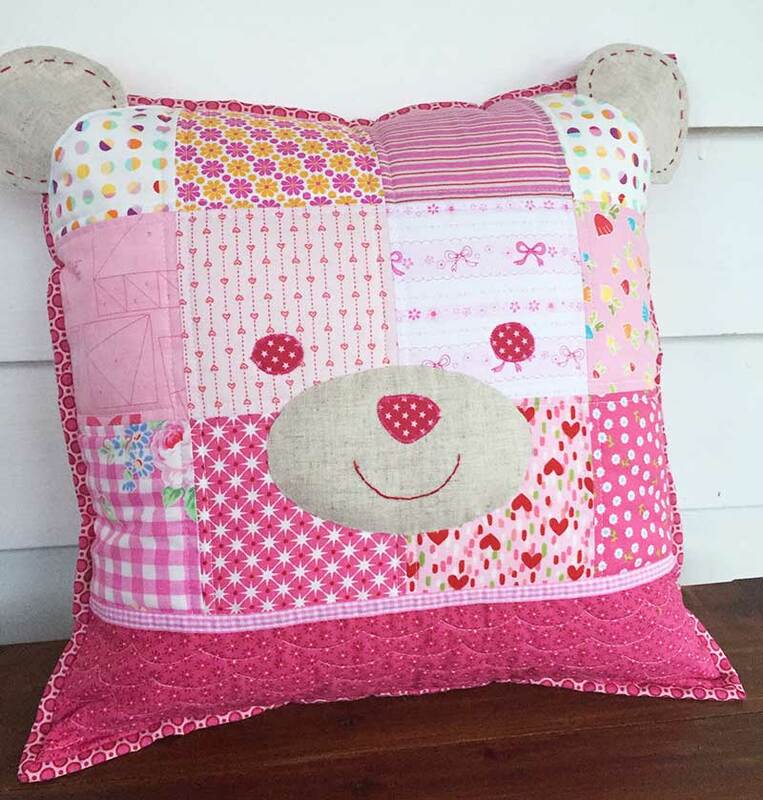 Teddy Bear Cushion Class – a fun day class to make one of the cutest presents ever! 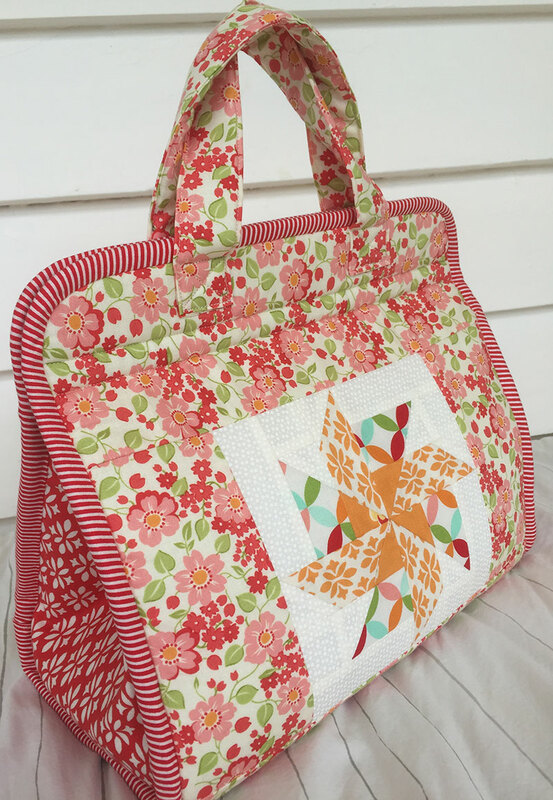 Maker’s Tote Two Day Class – a fabulous tote that will take all of your projects on the go! 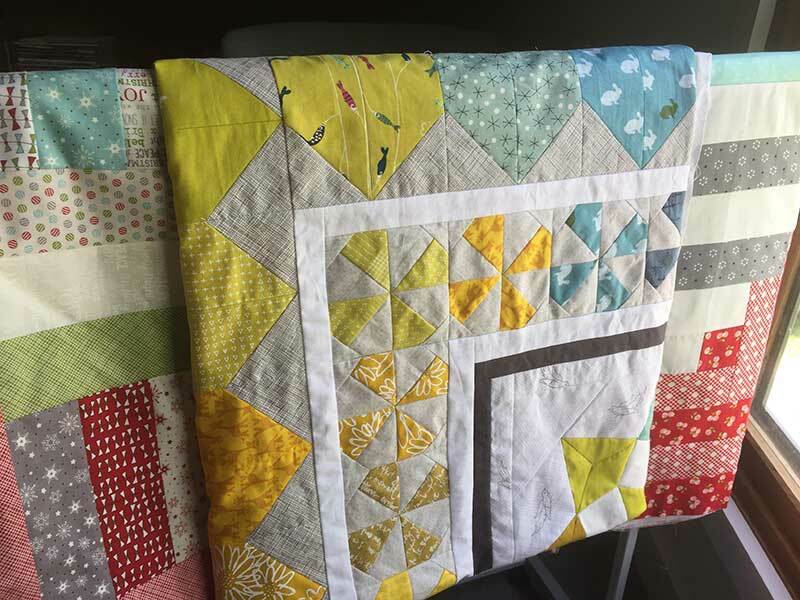 Beginners Two Day Class – a fun way to learn all about how to make a quilt. 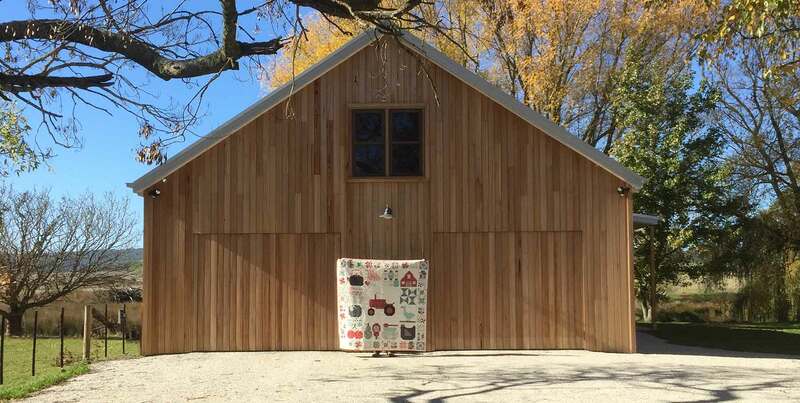 Your Own Sew Day – bring your own projects and be pampered in the Quilt Barn whilst you get stuff done! Classes are $100 per person per day and Sew Days are $50 per person per day. Please contact me to discuss your requirements! Would love to have you and your friends in the relaxing surrounds of the Quilt Barn. Dates Don’t Suit You? Or want a gift voucher? We can do a class for just you and your friends or organise a voucher for your loved one. Get in touch with us via our contact form to discuss the options.